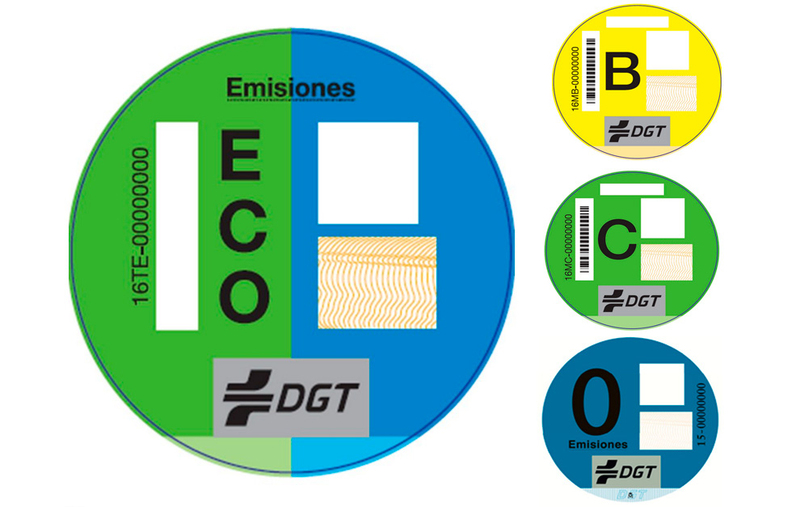 The new vehicle classification system of the General Directorate of Transport distinguishes vehicles according to their emissions, and now categorizes Autogas vehicles, which are recognized for their low emissions with the ECO label (green and blue). The purpose of this fleet classification is to categorize the most environmentally friendly vehicles and be an effective tool for municipal policies, both restricting traffic in high pollution episodes and promoting new technologies through tax advantages or benefits related to mobility and the environment. 1. ECO (blue and green label), including Autogas cars. These are cars, light vans, vehicles with over eight seats, and freight vehicles classified in the Register of Vehicles as plug-in hybrid vehicles with range <40km. 2. Zero emissions (blue label), which include battery electric vehicles, extended-range electric vehicles, plug-in hybrid electric vehicles with a minimum range of 40 kilometres and fuel cell vehicles. 3. C (green label): gasoline passenger cars and light vans registered from January 2006 and diesel from 2014. It will also be for vehicles with more than eight seats and freight vehicles, both gasoline and diesel, registered since 2014. 4. B (yellow label): gasoline passenger cars and light vans registered from January 2000 and diesel from January 2006. Vehicles of more than eight seats and freight vehicles, both gasoline and diesel, registered since 2005. “We are very pleased with the ECO label and convinced of the advantages that our fuel can contribute to improving air quality in cities by low NOx emissions and almost zero pollutant particles,” explained José Luis Blanco, Director of the AOGLP (the Spanish Association of LPG operator), who welcomed the new initiative.